HAERTOL Chemie GmbH is an established automotive supplier with over 60 years of experience supplying the German and international automobile industries. As your partner, we provide reliability you can count on and go out of our way to quickly meet your requirements. The rapid pace of development in powertrain technology has lead to ever lighter and more efficient aluminium engines that also demand new capabilities of their coolants. OAT and Si-OAT products provide comprehensive protection for the entire cooling system through a specially formulated inhibitor system. The inhibitors contained in our FROSTOX® products provide exceptional protection against corrosion for non-ferrous metals, aluminium and alloys, and heavy metals. Our high-quality coolant additives coat the various components of the cooling system (metals, elastomers, and plastics) with a thin but very tough layer that provides reliable protection against corrosion, overheating, and freezing. HAERTOL Chemie GmbH works closely with Gemany’s Research Association for Combustion Engines e.V. In 2009, our laboratory team developed the glycerol-based G13 coolant in collaboration with Volkswagen AG as an alternative to ethylene glycol. Volkswagen was awarded the 2012 Deutsche Ideen Preis (German Idea Award) for the new coolant from dib and DEKRA for the best environmental idea. FROSTOX® HT12 is the most advanced monoethylene glycol based premium antifreeze concentrate in the FROSTOX® line. The Si-OAT corrosion protection technology used contains no 2-ethylhexanoic acid and fulfils with ease the requirements of modern high-performance engines with respect to resistance to thermal stress, long-term stability, and long-term corrosion protection. 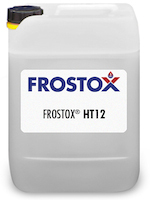 FROSTOX® HT12 contains no nitrites, amines, phosphates, or borates. FROSTOX® NC95 is an environmentally friendly monoethylene glycol based antifreeze for use in internal combustion engines. FROSTOX® NC95 contains high-quality corrosion inhibitors and is characterized by its ability to safely protect all the various metals used in cooling systems. FROSTOX® NC95 protects cooling systems from freezing in winter and from overheating in summer. FROSTOX® PSF12 is an environmentally friendly silicate-free propylene glycol based antifreeze with organic acids for use in internal combustion engines. FROSTOX® PSF12 is a long life coolant that can be used in vehicles as a lifetime antifreeze. FROSTOX® PSF12 contains high-performance corrosion inhibitors and provides optimal protection of all metals and metal alloys used in cooling systems, including aluminium. FROSTOX® PSF12 also prevents scale formation and deposits in the cooling system in addition to corrosion.  Thanks to the molecular film this coolant forms, it ensures excellent heat transfer and heat transport. FROSTOX® PSF12/DI is an environmentally friendly propylene glycol based corrosion inhibitor antifreeze for internal combustion engine run-in and operation. It is an OAT product that contains organic acids as inhibitors. FROSTOX® PSF12/DI contains a vapour corrosion inhibitor. Consequently, all of the different metals and alloys used in the engine — including aluminium — are also protected in the vapour phase. FROSTOX® R is an engine cooling system cleaner with surfactants for internal combustion engines. It easily removes oily contaminants from the cooling system. 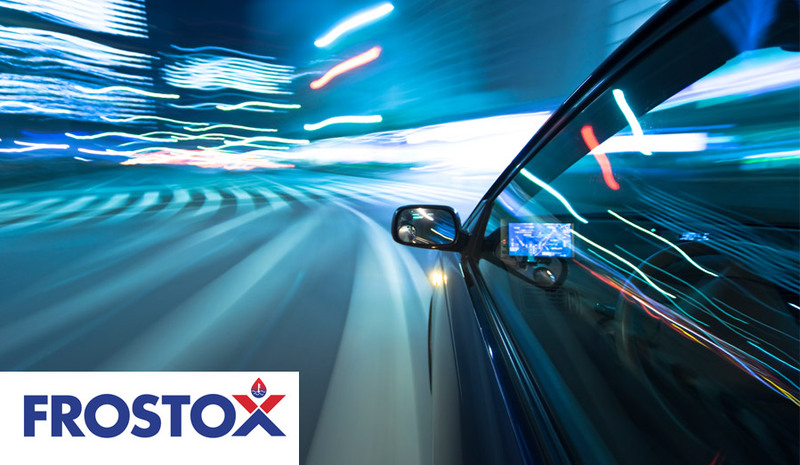 FROSTOX® R contains high-quality corrosion inhibitors and safely protects all the various metals used in engines. FROSTOX® R is suitable for use with cast iron and all-aluminium engines. FROSTOX® S is an acidic cooling system cleaner for use in internal combustion engines. It easily removes deposits from the cooling system. FROSTOX® S is based on monoethylene glycol, contains organic acid corrosion inhibitors, is silicate free, and provides mild and gentle cleansing of cooling systems. FROSTOX® S is suitable for use with cast iron and all-aluminium engines. FROSTOX® SF-D12/DI++ is an environmentally friendly monoethylene glycol based antifreeze for internal combustion engine run-in and operation formulated with Si-OAT corrosion protection technology. This corrosion inhibitor system combines modern, carboxylic acid based corrosion inhibitor technology with the advantages of silicate antifreezes. FROSTOX® SF-D12/DI++ contains a vapour corrosion inhibitor. Consequently, it protects all of the different metals and alloys used in the engine — including aluminium — in the vapour phase as well. FROSTOX® SF-D12++ is a premium monoethylene glycol based antifreeze formulated with Si-OAT corrosion inhibitor technology. This corrosion inhibitor system combines modern, carboxylic acid based corrosion inhibitor technology with the advantages of silicate antifreezes. The result is optimal long-term stability and protection against corrosion. FROSTOX® SF-D12++ contains no nitrites, amines, phosphates, or borates. FROSTOX® SF-D12++öko is a premium monoethylene glycol based antifreeze formulated with Si-OAT corrosion inhibitor technology. This corrosion inhibitor system combines modern, carboxylic acid based corrosion inhibitor technology with the advantages of silicate antifreezes. The result is optimal long-term stability and protection against corrosion. This product contains glycerol. FROSTOX® SF-D12++öko contains no nitrites, amines, phosphates, or borates. FROSTOX® SF-D12PLUS is a premium monoethylene glycol based antifreeze formulated with OAT corrosion inhibitor technology. Salts of organic acids serve as corrosion inhibitors to provide optimal long-life protection. FROSTOX® SF-D12PLUS contains no nitrites, amines, phosphates, silicates, or borates. FROSTOX® VP2 is a premium monoethylene glycol based antifreeze. It uses highly effective inhibitor technology that combines the advantages of inorganic and organic corrosion inhibitors. FROSTOX® VP2 guarantees long-term stability and corrosion protection in both conventional and modern high-performance engines. FROSTOX® VP2 contains no nitrites, amines, or phosphates. Please inquire for additional container sizes if required.